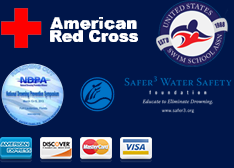 We appreciate your support and want to thank you for spreading the word about Making Waves Swim School! Introduce a new client to our program and, upon their confirmed registration, receive a $25 gift card as our THANK YOU! The greatest compliment we can be given is a referral. **Please make sure that the client you refer includes your first and last name on their registration form. You do not need to be currently enrolled to receive this “thank you.” Note: your client name is the name of the parent or guardian who called to enroll in lessons.